HarperCollins Publishers have made 2017 a paperback and eBook re-issue year for Bagley’s novels, and the novels will be re-published throughout the year in the order they were first published. To celebrate this event The Bagley Brief website launches on-line, migrating material from bagleysrunningblind.info which originally launched on 5th January 2015. 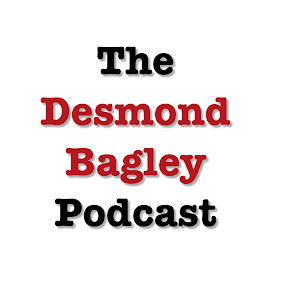 The website will host an array of feature articles about Desmond Bagley, his novels and some of the less well known Bagley miscellany. The Running Blind archive within this website will still act as an constantly updated on-line resource for Bagley’s Cold War thriller set in Iceland, and bagleysrunningblind.info now redirects to this site. The website aims, I hope, to act as a valuable on-line resource for those readers with an interest in Bagley and his novels. Visit the archive section of this website to discover more about Running Blind, Bagley’s Cold War thriller set in Iceland. Desmond Bagley Image © Bengt-Ove Tideman – From the Desmond Bagley Collection, Howard Gotlieb Archival Research Center at Boston University.